Otto von Guericke's improvement on Robert Boyle's air pump. 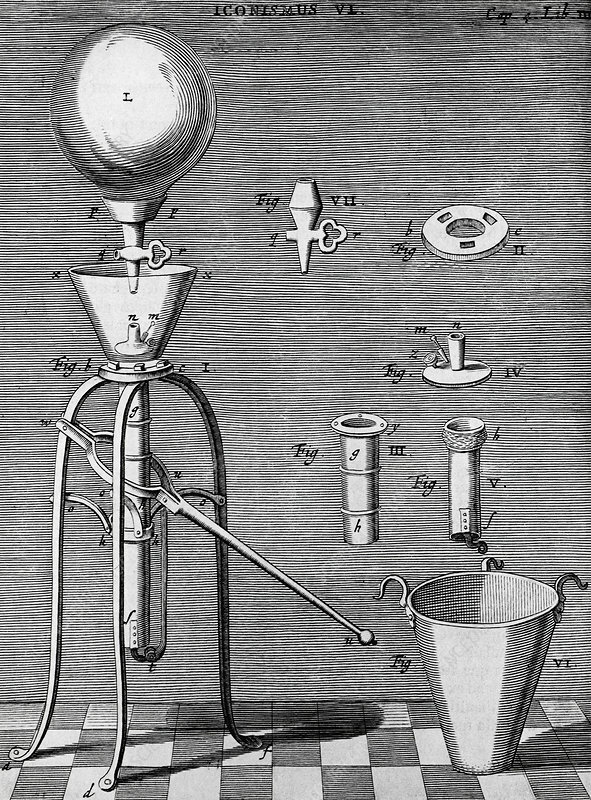 From Experimenta Nova by Otto von Guericke (Amsterdam, 1672). Engraving.